Picasso Museum (Antibes): some of the finest collections of Picasso’s works are located in the fabulous coastal fortress Château Grimaldi. There you may also find other works of such great painters as Nicolas de Staël and Hans Hartung. Fond Mag (Saint-Paul de Vence): covered in woodland of Saint-Paul de Vence, this museum is definitely worth a visit since it keeps some of the foremost modern art collections in the world (Giacometti, Miro, Chagall, Calder, Braque, Léger, Bonnard, Kandinsky, Kelly, Tàpies, Chillida…). The museum building itself represents the outstanding architectural work of art and fascinates visitors by its exhibits’ extraordinary beauty. Matisse Museum (Nice): a general overview of Matisse’s works from different periods of his creative work and art development. Monaco Oceanographic Museum (Monaco): the museum has been directed by Jacques Yves Cousteau for a long time. It is considered to be a treasure of the monumental architectural buildings. It also contains one of the earliest aquariums in Europe, which numbers more than 6,000 fish species living in its natural environment. Among other aquarium inhabitants you can also find living corals. Restaurants and food means religion and art in France, thus the French save and protect this heritage carefully. Some restaurants are not so easy to get in. 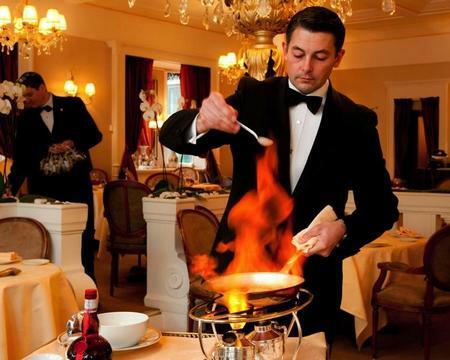 With our special service you will get the opportunity to visit the best restaurants privately. You will not have to worry about which restaurant to choose not to get disappointed or whether there is any free table for you. GrandazuR company offers go by helicopter to the best restaurants of France. If you are interested in the private excursion on the French Riviera. You may also fill out the form mentioning the information of interest. Once we receive your request, we will contact you as soon as possible.